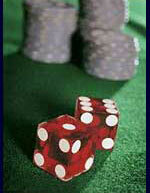 Traditionally, France is a lover of most forms of gambling. The nation enjoys a variety of card games and the French are credited with designing the modern 52 card deck which is now used in casinos around the world. The French are also credited with inventing the roulette wheel. For a long time now, most forms of gambling have been legal in France, but this ‘pastime’ is still strictly controlled and heavily monitored. However, most forms of legal gambling are only allowed when they have been officially sanctioned by the Justice Ministry. The French Government passed new legislation as recently as 2010 (after mounting pressure from the European Commission (EC)) and from this point, the French started to allow the regulation and taxation of online casinos which operate from offshore locations. This new law also applied to online bingo sites, online sportsbetting sites, online poker sites and other similar gambling portals. In previous years, the only gambling portals that were legally permitted to offer their services included the home-grown lottery group known as Groupe Française des Jeux and also Pari-Mutuel Urbain (PMU), the state-owned operation which oversees horseracing. Today, France has issued licenses to numerous foreign owned gambling operators and it allows these operators to offer their real cash gambling services to French citizens. Obtaining one of these licenses though is still an extremely difficult process and operators encounter many restrictions. There are no laws which prohibit French players from signing up to a foreign owned casino and this is exactly where many players choose to sign up to. Most of today’s best French online casinos are licensed in offshore licensing jurisdictions from around the world. For example, many of these sites tend to be licensed in Malta (by the Malta Gaming Authority – formerly the Lotteries & Gaming Authority of Malta), in Gibraltar (by the Government of Gibraltar), in Alderney (by the Alderney Gambling Control Commission), in Kahnawake, Quebec, Canada (by the Kahnawake Gaming Commission), in Antigua and Barbuda (by the Directorate of Offshore Gaming), in the United Kingdom (by the UK Gambling Commission), in Curacao (formerly Netherlands Antilles, by the Curacao Internet Gaming Association / CIGA) or in The Isle of Man (by Gambling Supervision Commission). French online casinos support French (and several other languages), they all accept Euros and they all accept a wide range of payment options which are suitable for French players. You will also find that many of the best French online casinos are powered by the likes of Microgaming and Realtime Gaming and by one or two other leading software providers. For a list of these best French casinos, visit our online casino review section now. Gambling Therapy - Helpline and information for people from France who are looking for help with a gambling problem.